Sneaky Sugar – Got Nourishment? Or should I say, sneaky manufacturers? Sugar is often in the spotlight for its lack of health benefits (empty calories) and its possible contribution to health ailments. What are empty calories? Empty calories come from solid fats and/or added sugars. These provide calories, but minimal to no nutrients. Many processed foods are full of sugar, and unfortunately, processed foods are available in abundance! So what do we turn to? The ingredients list! Ingredients are listed in order by weight, so the heaviest ingredients are listed first and the lightest are listed last. This can be helpful when trying to consume an ingredient, such as sugar, in moderation. But food manufacturers have a few tricks up their sleeves as well. Instead of using one type of sugar, they may use several different types of sugars so that each of these ingredients will appear lower down on the ingredients list and therefore appear to exist in smaller quantities. There are many different names for added sugars. For example, a packaged cookie may include sugar, evaporated can sugar, malt syrup, and invert sugar on the ingredients list. Instead of simply using one type of sugar and having it appear at the top of the list, multiple types are used and can therefore appear lower down on the ingredients list. Here is where you can turn to the nutrition facts panel. 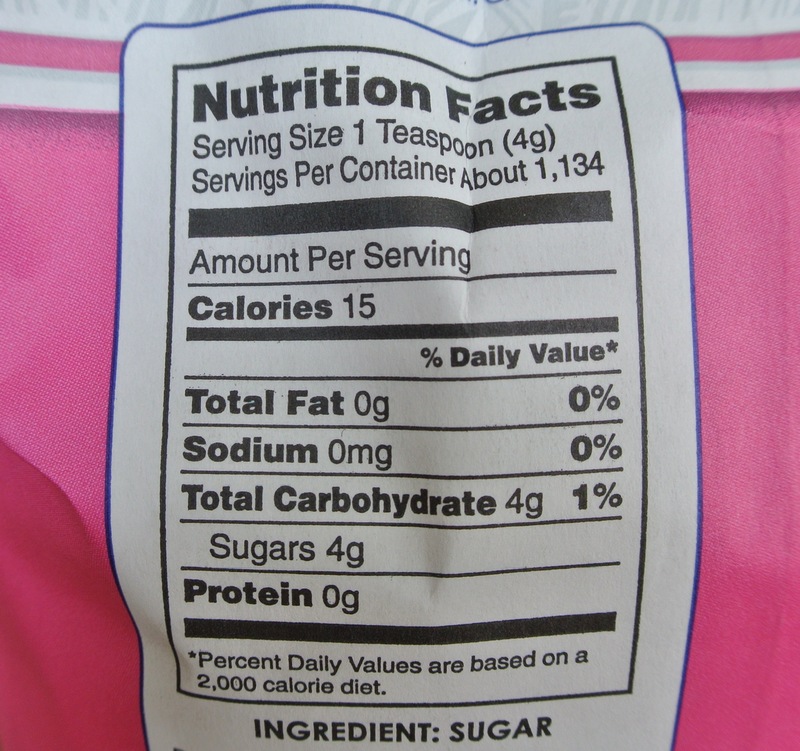 Sugar will be listed under “Total Carbohydrate” in grams. It’s hard to picture what grams of sugar look like, so to put this in perspective for you, 4 grams of sugar are equal to 1 teaspoon of sugar. For example, a can of coke has 39 grams of sugar, which is equal to 9.75 teaspoons (about 10 teaspoons!). For a more extensive list of names for added sugars from MyPlate, click here. Although the nutrition facts panel is a good place to turn, it isn’t always transparent either. Food manufacturers have also been swapping out sugar for artificial sweeteners, such as Aspartame (Equal), Saccharine (Sweet’N Low), and Sucralose (Splenda). For example, a food company may swap out half of the sugar content in their product for an alternative sweetener. These sweeteners are non-nutritive, meaning they add few to no calories. Artificial sweeteners have been deemed safe, as long as consumed in moderation. Keep in mind this method will also move sugar down the ingredients list, so it’s a good idea to use both the ingredients list and the nutrition facts panel. Here is a great little article on sugar substitutes. Read those ingredient lists and nutrition facts!